Paula Radcliffe on her asthma Jump to media player Marathon runner Paula Radcliffe talks to Jonathan Edwards about being diagnosed with asthma as a teenager after blacking out in training. 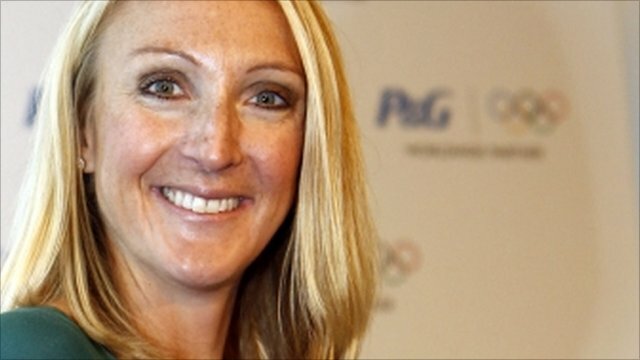 Marathon world record holder Paula Radcliffe was diagnosed with asthma when she was a teenager after blacking out in training. Here for the BBC video series Cause Celeb, she tells Jonathan Edwards about how she refused to let the condition stop her achieving her goals. She also explains why she needs a special exemption to use her inhaler before races. Paula was speaking at last week's European Athletics Championships in Barcelona. She is currently expecting her second child, due this September.